Viscosupplementation is a medical procedure for the treatment of osteoarthritis of the knee or other joints in individuals whose pain has failed to respond adequately to conservative approaches. Often utilized to stop pain by Dr. Nikesh Seth, some may know this procedure to be called hyaluronan injections or hyaluronic acid injections. Brand names of viscosupplementation solutions include Hylagan, Orthovisc, Euflexxa, Supartz, and Synvisc – all of which we use at Integrated Pain Consultants. 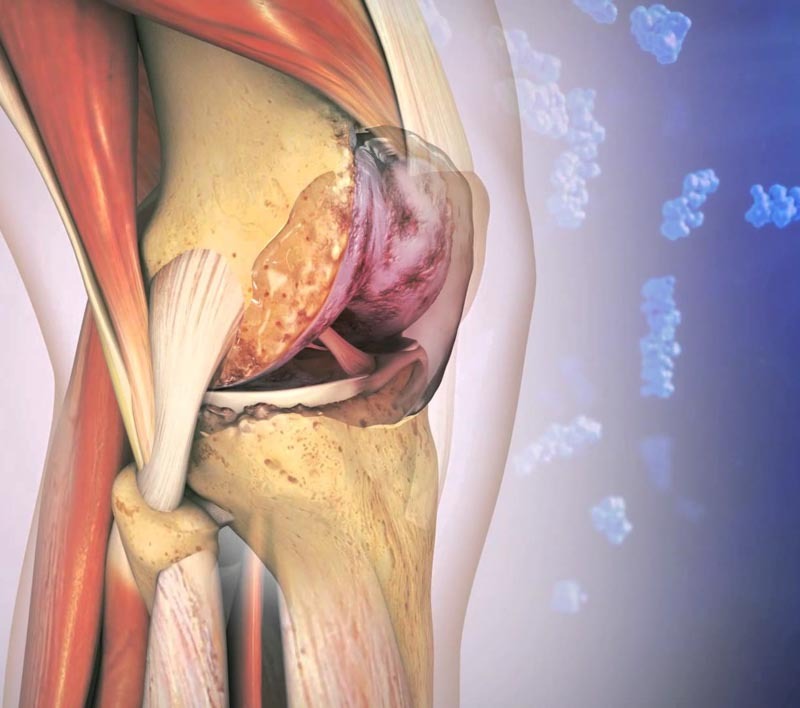 In the procedure, a thick gel with a natural protein, hyaluronan or hyaluronic acid, is injected into the knee joint to provide lubrication and reduce inflammation. If you’re seeking help for pain management, please contact one of Integrated Pain Consultants’ three offices to schedule a detailed evaluation – (480) 626-2552 or book your appointment online today. Injections can be an alternative to knee surgery, while others rely on these injections for relief from chronic pain caused by an injury or osteoarthritis. Viscosupplementation works by artificially supplementing the fluid in the joint which increases the viscosity or thickness of the lubrication. After proper sterilization, a needle is placed into the joint under live ultrasound or fluoroscopic guidance. A pre-filled syringe of viscosupplementation is then injected into the joint to help loosen the knee and reduce friction thereby decreasing pain, minimizing inflammation, and improving motion. This artificial lubrication would ideally “save” your knee from further deterioration and help you to avoid surgery. If you are suffering from knee, hip, or shoulder joint arthritis, please contact Integrated Pain Consultants and schedule a consultation. With three offices open in Scottsdale, Mesa, and Phoenix, Arizona, learn why we are voted “Top Doc” by Phoenix Magazine and read pain clinic reviews left by other patients of Dr. Nikesh Seth and his amazing team of physicians and providers. Learn more about pain conditions, pain treatment, and please schedule your appointment by calling (480) 626-2552 or book your appointment online today.